From the venerable Bodegas Emilio Moro in Ribera del Duero comes a new(ish) brand, Cepa 21. Focusing on delivering younger, more accessible, and modern wines, this project is head up by the new generation of Moro brothers, José and Javier. 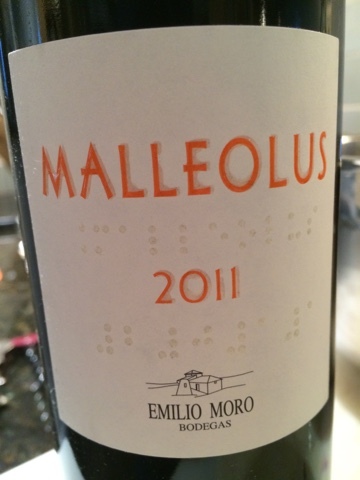 Thrown into the sample pack was Malleolus, a 100% tinto fino bottling from older vines - a monster of a wine. If Cepa 21's goal is to win over more adventuresome drinkers at a value price point, they've got a good chance with their entry level Hito bottling, which I recommend. Deep, dark, and round, this extracted Tempranillo manages to pack solid density while maintaining balance. Rewarding for its black fruit character mounted on a dignified structure, and framed by pretty anise, it's acidity helps keep its heft in check. A very, very good showing at this price point. Two things jump out of the glass at the first pour: boisterous fruit aromatics and strong oak presence. An hour decanted helps the latter dissipate, replaced by chewy, dusty tannins that complement the black fruit well. 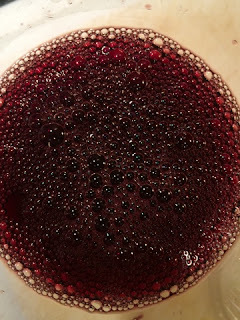 There's a lot happening in this busy wine, most of it good, but it needs a little time to sort itself out. Still very young indeed. No doubt this one has a long life ahead. Massive. Inky in the glass, leaping with potent, high-frequency aromatics. Despite its density, the texture is supple - this wine's only modest quality. Black fruit tempered by graphite and slate flavors are delivered in multi-dimensional layers across the palate and along the kilometer-long finish. Prominent powdery tannins coat the mouth in the lingering aftermath. Closed on opening and yielding only slightly after two days (!) with no moderation of intensity. A beast.